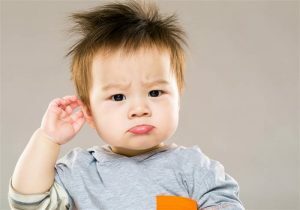 Did you know: statistics show that in the United States, 9 out of every 10 kids who are deaf are born to hearing parents. Many of these parents have very little prior knowledge about deafness, and probably even less exposure to sign language and Deaf Culture. These parents might fear that they won’t be able to communicate with their child, or that their child will be limited without the ability to hear. Like all parents, the hearing parents of deaf children want to do the right thing and give their kid the best opportunities available… But what does this really mean? Raising deaf children with access to sign language has been shown to yield benefits in many areas of life, even for children working to acquire spoken language skills or those who have Cochlear Implants. Although it may require more effort from everyone in the family, creating a bilingual household where spoken and signed language coexist presents an ideal solution for overcoming communication barriers. From the time we are infants, we use language to create our narrative of the world and to establish our place within it. Studies have shown that not only do deaf/ HoH babies benefit from early exposure to signed language— signing allows ALL babies to express their needs and desires long before they are able to verbalize them, since humans develop tactile and motor skills at a much earlier age. While children develop their sense of self, it is important that they are able to label both internal and external stimuli. Visual language allows children who are deaf to identify thoughts and feelings using their natural senses, which can be less frustrating for these children during their early developmental years. According to the United Nations Committee on the Rights of Persons with Disabilities, article 30 section 4, people who are deaf are entitled, as a basic human right, to have access to their linguistic identity. 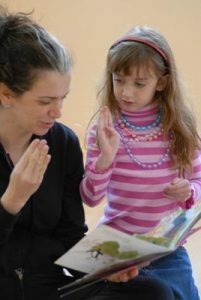 Research has shown that even children who are learning oral communication methods benefit from family support for ASL, since it encourages a strong sense of identity and can aid in effective personal expression. When parents and siblings also know ASL, a child who is deaf has the added benefit of being able to communicate comfortably with the people around them. Learning a new language might seem intimidating at first, but luckily ASL is one of the most fun and interesting languages to acquire because it is so expressive. Spending time together learning sign language as a family can be a positively enriching bonding activity for adults and children, both deaf and hearing alike. For relatives of a child who is deaf, learning ASL can help build a bridge of communication and trust. Knowing sign language enables siblings a variety of options for communication, thereby deepening these important relationships. Research has shown that knowing multiple languages increases overall brain activity (it can even help delay the onset of Alzheimer’s and dementia). Language helps open up new perspectives and expands ones’ point of view. When hearing parents take the opportunity to foster a bilingual family, every member benefits! 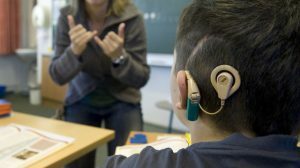 Researchers from the 1960s through to the 1990s (most notably Mark T. Greenberg and Carol A. Kusché ) observed and documented that deaf children from deaf parents academically outperformed their deaf peers with hearing parents. Benefitting from early exposure to a language which they could feel comfortable using, the deaf children from deaf households demonstrated higher levels of literacy and reading comprehension. When a child is able to develop their social skills from an early age without restriction, they can experiment with the boundaries of nuanced human interactions. Deaf children who use ASL with their families are less likely to report feeling isolated, and are therefore more likely to be outgoing in other social situations. This snowball effect of self-confidence can lead to later success in personal and professional networking. 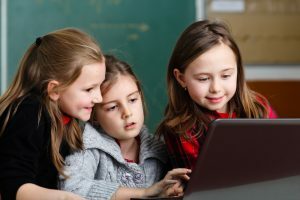 Aside from boosting personal awareness and self esteem, having the ability to connect with the larger Deaf community gives children who are deaf the option to communicate with other people who share the common experience of deafness. Offering deaf/HoH children the advantage of bilingualism provides them with the ability to access deaf society if they so choose. According to research by Tingting Gao, “a common language fosters understanding and respect among deaf people and the existence of this culture provides a strong identity that deaf people can adopt in the face of a communication barrier between themselves and the rest of society.” Often, deaf people who grow up learning oral communication discover ASL at some point in their life. Many of these individuals report this discovery as an important experience! There are many excellent ways to begin learning ASL! Please check out THIS BLOG for some great free and low cost options to get you started. But, off course, the most effective way to learn ASL is to really immerse yourself. By working with a Deaf individual or a native ASL user, you can delve into the rich tapestry of Deaf Culture, gaining a deeper understanding of what it means to be deaf in America. LCIS is pleased to offer personal ASL training for individuals or groups. 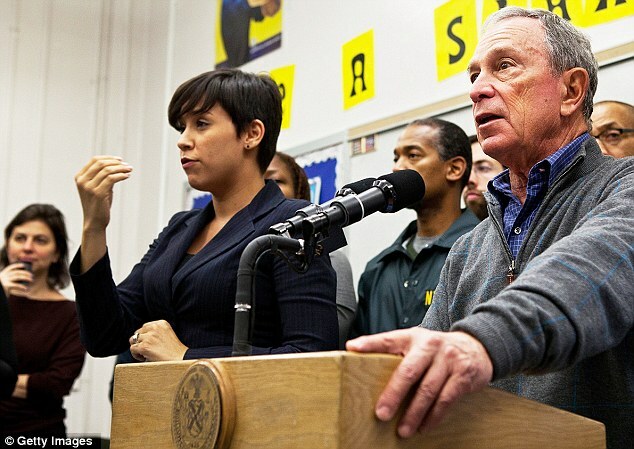 Learn sign language on your own time, at your own pace, from the comfort of your own home or a public location in NYC. Learn to sign while exploring Deaf culture and current issues in the community. Get an in depth perspective on deafness and deaf communication from our qualified instructors.